More than 150 years combined experience has given VANOIL COMPLETION SYSTEMS the experience needed to manufacture gas lift valves and side pocket mandrels using the latest technology available while maintaining consistent quality, which is second to none. Specializing in manufacturing & design of Gas Lift Mandrels & related products. If you’d like information regarding our products, please visit our Contact Us page to send us an email. Give us a call at 337-839-0984 to contact us directly. The Vanoil Side Pocket Mandrels are primarily designed for gas lift and are available in sizes 2-3/8 through 7 inch tubing. 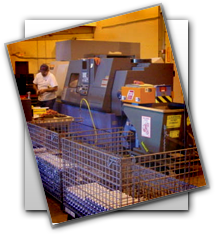 We operate a fully modernized CNC and Laser machining facility integrating CAD/CAM technology, which enables us to provide custom made-to-order products. © 2019 Vanoil Completion Systems. All Rights Reserved.